I actually did some caulking and hole filling in the kitchen! My original plan was to make the entire kitchen tight as a dish, and then paint, but I've decided that it will be more fun for me to caulk and then paint sections. That way I'll get the satisfaction of seeing something painted and done every once in a while. 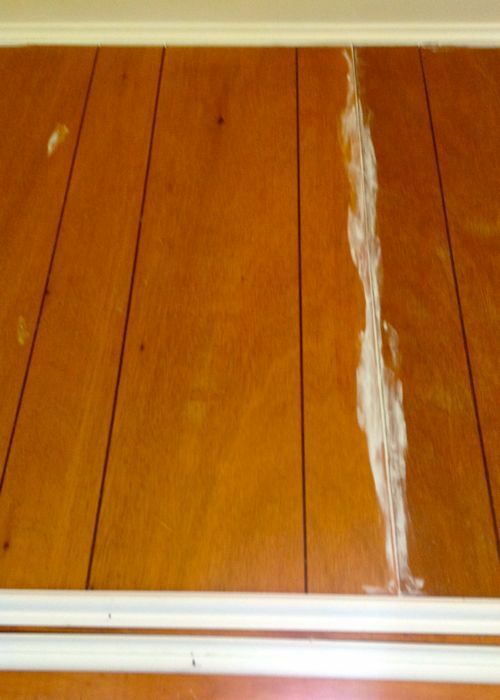 Caulk is really amazing to me, it can cover up a dozen ills. I gather that "real" finish work shouldn't use caulk because of the exploits of some of the men we've hired to do work. They clearly have only worked on new houses, and expected everything to be perfectly square. The guy who built our built-in window seat and closet spent 2 eight hour days doing nothing but trying to get the window seat shelves perfectly level. I could've told him that a) it was impossible, and b) we weren't looking for perfection anyways, but sometimes people just need to learn things on their own. 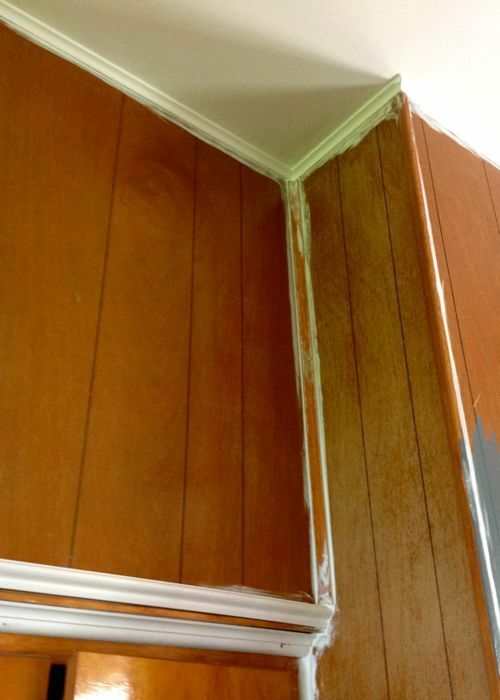 He also struggled quite a bit trying to get the crown molding around the bows in the living room walls. We had another guy install the crown molding in the bathroom, and he was very embarrassed when he had to show me a corner that he just couldn't get to line up perfectly. He was also very surprised that I was expecting it. I think that these kinds of imperfections are a problem for most people, while for me, they are a plus. For some reason, I don't really care for perfectly level, plumb and square houses. They seem to be missing something to me. What do you guys think. What is it some people see in old houses? And what is it some people see in new ones?